There's something primal about the smell of smoking food. Somewhere deep in the recesses of our souls, we remember a time when humans only ate by the fire. Or perhaps that's just something I tell myself. Either way, it's hard to smell smoke and food and not feel like you should be eating. And, as chef Edi Frauneder said in a recent Saveur article, "Grilling is convivial. There's something about this act of coming together over an open flame that just says vacation." In the absence of a grill or smoker, the smell (and taste) of smoked food reminds us of everything we love about being outside by the barbecue. And while nothing will ever compare to standing by an open flame in the sun with a beer in one hand and tongs in the other, you can get the same incredible smell and flavor in your kitchen by making a stovetop smoker. 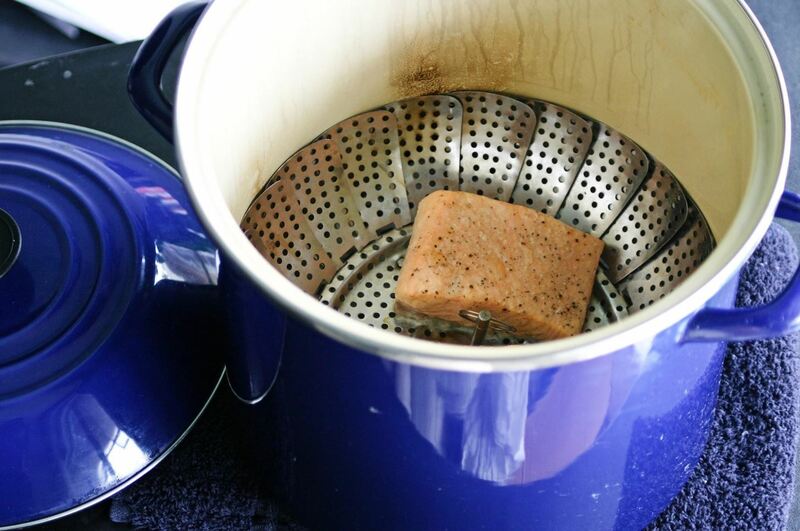 If you're thinking that it's more trouble than it's worth, it's not: you can make a stovetop smoker in just a few minutes. And all you need is a large pot, some aluminum foil, and a steamer insert. Your smoker wouldn't be a smoker if it didn't, well... smoke. To create the smoke element, line your pot with a sheet of tinfoil, and then top it with a handful of smoking chips. You can buy stovetop smoker chips but they can be hard to find in stores. I prefer to just pick the small chips out of a bag of grilling wood chips, as they're a lot easier to find. Place a second layer of aluminum foil on top of your smoking chips so that your food doesn't drip oil onto the chips. 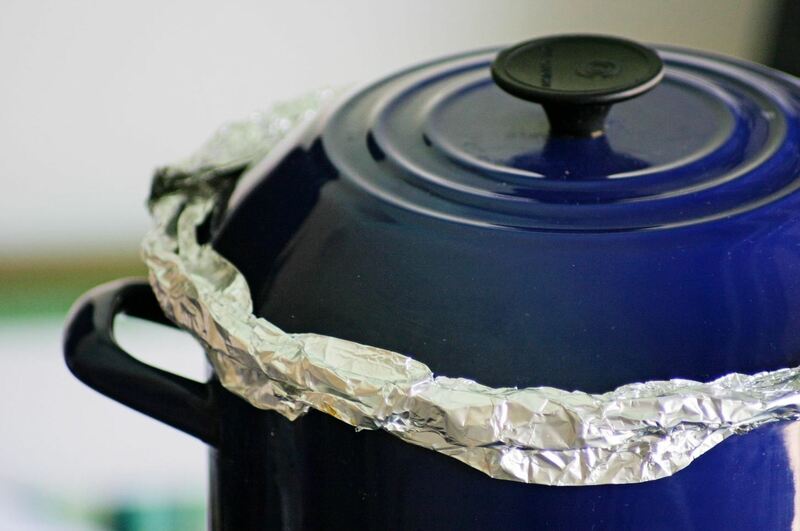 Then place a steamer insert on top of the foil, and place your food on the insert. Make sure that your food isn't touching, as you want maximum surface area to be exposed to the smoke. If you don't have a steamer insert, you can build one! It goes without saying that more smoke in your smoker means more flavor in your food. As such, you don't want to lose any of the smoke you create. To capitalize on every molecule of smoke, wrap tinfoil all around the lid of your pot so that there's no escape route for the smoke. Be aware that some lids have a ventilation hole on the top, so be sure to cover that as well. Step 4: Let 'Er Rip! 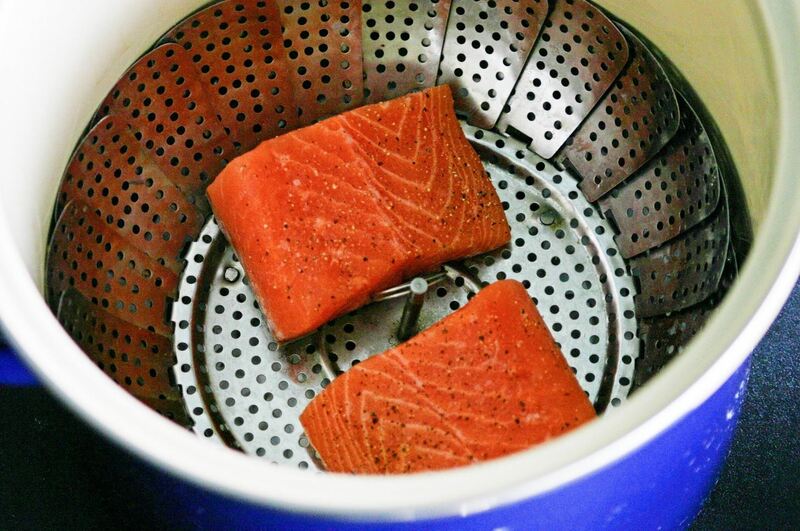 Now your stovetop smoker is ready to go! Get the chips smoking by turning your stove to medium-high for a few minutes, and then bring it down to low. Fish will only need to smoke 10–15 minutes, while chicken and meat will need 30–45 minutes (large cuts of meat will then need to be finished in the oven). Let your pot sit unopened for five minutes after you turn off the stove so that the smoke trapped inside can continue to infuse your food. Then un-peel the foil lock, take off the lid, and enjoy some delicious smoked food (and a house that will smell like summer). While I recommend smoking salmon and chicken wings, you can also smoke more obscure items, like ice and salt (check out the links below). You really can't go wrong! You do end up with smoked meat but it's a mess to clean up, fills your place with smoke and I will not do this again. I have my own methods of smoking meat in my oven but thought I'd give this a go. I had my hood exhaust running when I started, had cracked a window and had the AC fan going based on prior experience. This created a lot of smoke. I used a lot of aluminum foil beneath my lid but the smoke seeped out everywhere. I knew it was bad when my cat started howling, trying to escape to the outside which she is terribly afraid of. My eyes were watering, burning, I was coughing. This was worse than any of my methods of smoking meat in the kitchen. Generally, I use the oven with good results. Another thing I was wary of was lining the bottom of the pan with foil. 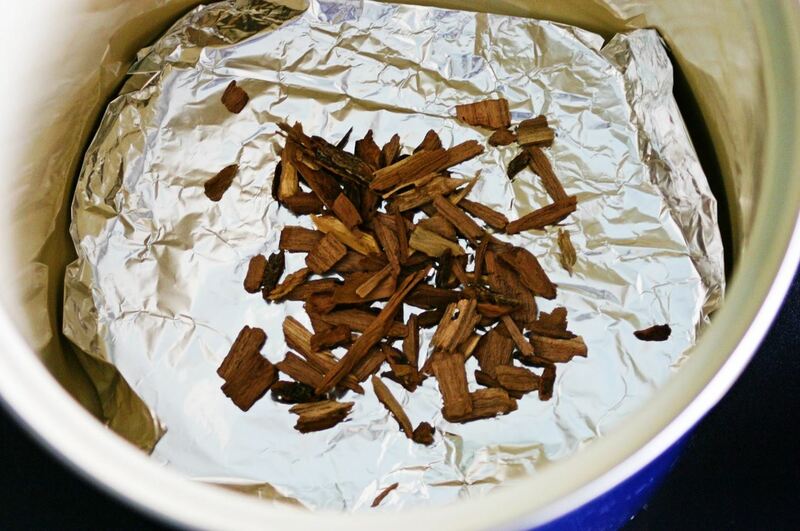 From my experience, burning wood chips will cause the foil to burn. I used an aluminum pie pan on the bottom which is thicker and the wood still burned through that. Then, to put foil on top of the wood chips to prevent juices from dripping down onto the wood chips doesn't work. 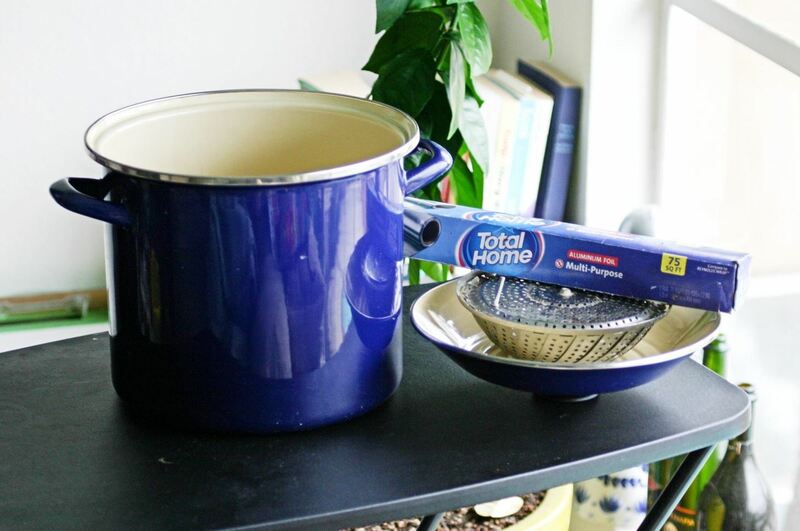 As most standard steamer baskets have legs, they just poke through the foil. That was also a concern when I first read this article. So I ended up with smoked chicken thighs with the metallic taste of aluminum. Who wants to consume aluminum? I only heated up the pan until there was smoke then reduced the heat to low. Too much smoke, though a "good aluminum flavor" (being facetious) but not good for those of us who breathe. I think I will stick to my methods. This method also damaged the copper on the bottom of my pan. That was from the burning aluminum. I don't know why the author still calls aluminum foil "tinfoil"?